A local, organic market with a large hot bar/salad bar, a fresh juice bar, cafe, a large bulk bin section and a prepared foods counter. A local, organic grocery store with a huge bulk bin selection. I like TJ’s for buying staples like almond milk, nuts, dried fruit, cereal, oats, yogurt, cheese, hummus and frozen fruits and veggies. I find their produce section to be a bit scant and overpriced but there are some items that are good buys like bagged greens and salad mixes and avocados, limes, lemons and onions. They also have ridiculously good deals on wine. Whole Foods is my favorite store! 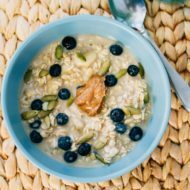 They carry almost any organic product you can think of as well as obscure health food items like chia seeds and wheat grass. Think Whole Foods is too expensive? 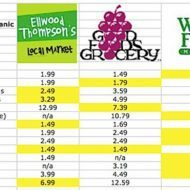 Check out my post about how to save money at Whole Foods here! I like to make a stop at Whole Foods in all the cities I visit because they’re all set-up differently and have a variety of products based on the region and location. I’m pretty sure this makes me a health food nerd. 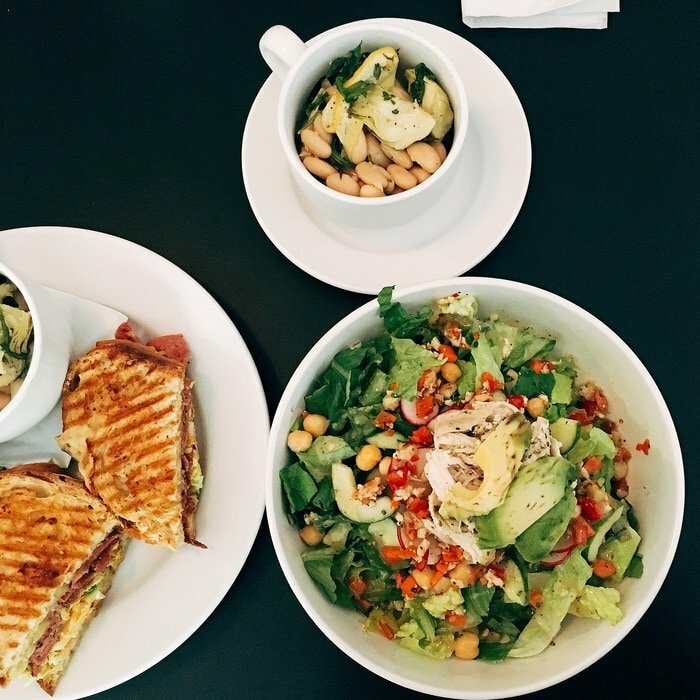 See my guide for where to get a healthy lunch in Richmond here. This is one of my favorite restaurants for healthy food in Richmond. Check out my review. 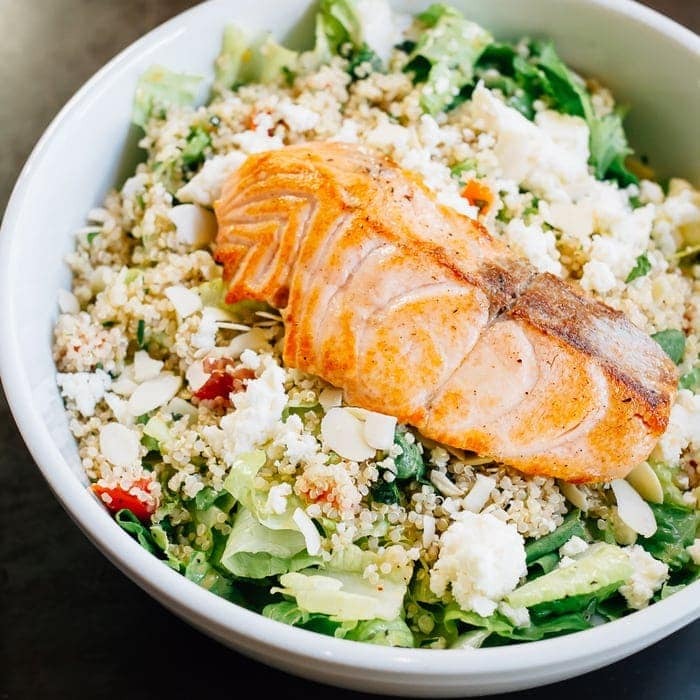 Seared salmon salad with romaine, quinoa tabouleh, feta, almonds and chipotle lemon vinaigrette. Curried Lentil Bowl with quinoa, sweet potatoes, zucchini, spinach, tamarind samal sauce and mint chutney. Sweet potato fries. Probably not the healthiest option, but so good and good for the soul. My favorite vegetarian restaurant in Richmond. They serve the same types of meals I would make for myself at home, which I love. The sushi sandwich on their homemade whole wheat pita bread is to die for. Fresca cobb with blanched broccoli, cauliflower, carrots, avocado, cucumbers, cheese, fakin’ bacon bits and olives. Curried butternut squash soup with coconut milk and toasted almonds. A burger bar that has a partnership with local farms to provide meat from happy, grass-fed cows and free-range chickens! House vegan burger with quinoa, millet and beets. 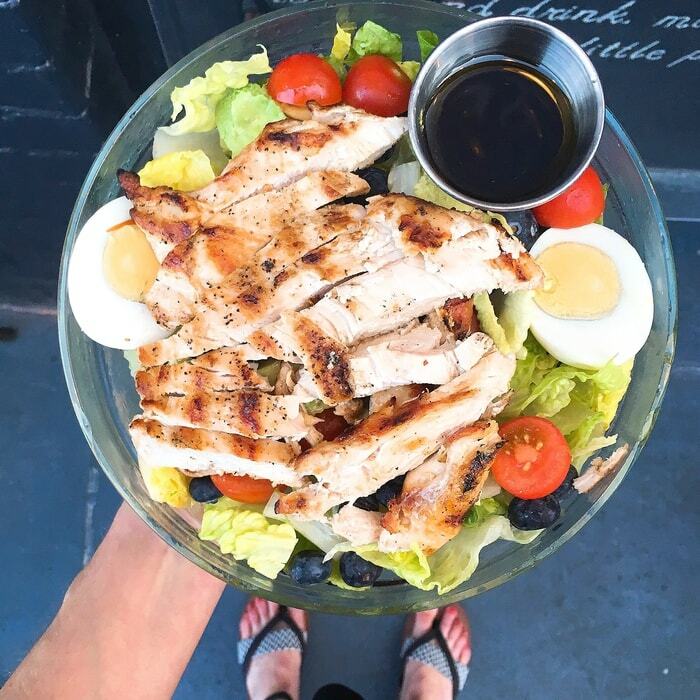 DAR’s salad (paleo) with romaine, tomatoes, hard boiled egg, avocado and blueberries. Topped with beef patty or grilled chicken and served with oil and vinegar on the side. Like a Mediterranean Chipotle, this fast casual spot is perfect for a quick and healthy lunch or dinner. 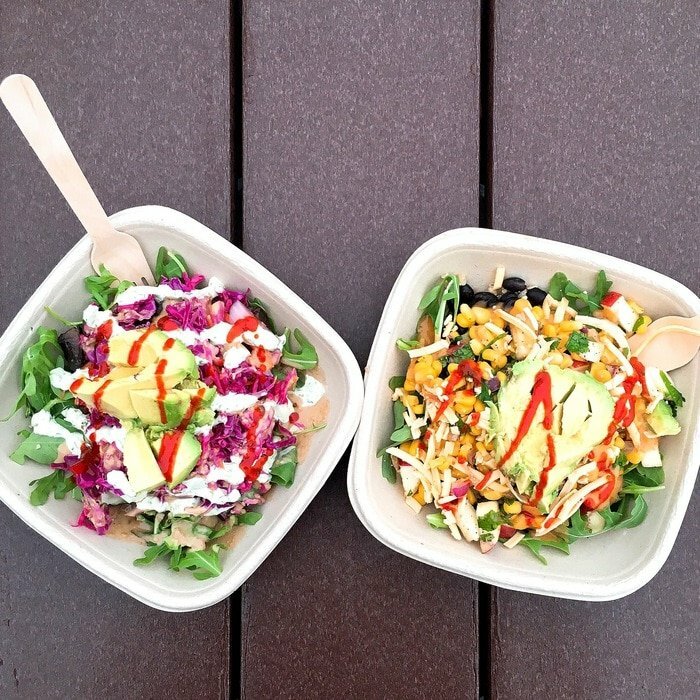 An awesome food truck that serves up epic quinoa bowls. Vegetarian friendly and absolutely delicious. Catch the truck at the South of the James Farmers Market for a breakfast quinoa bowl, which has an egg on top, or hit up their brick and mortar location in the Fan. Mountain tropp quinoa bowl with apple corn pico de gallo and gouda cheese. Vegetarian/Vegan restaurant with delicious dishes and amazing desserts. The menu changes pretty often and is written on a chalkboard when you walk in. I’ve never been to India, but this place has the best Indian food I’ve ever had. It’s authentic, fresh and so delicious. Chaat du jour. Chef’s daily selection inspired by street food stalls in India. Konkoni prawns with tellicherry peppercorns-konkani masala sauce. House kabab medley with shrimp, salmon, chicken and lamb kababs and sauce of the day. Shrimp and chicken zafrani with a hung yogurt-saffron marinade. Tandoor grilled and served with local greens. Great Vietnamese food and an extensive beer list. Make your own spring rolls with fresh rice paper wraps. I get mine with grilled shrimp and a side of steamed veggies. Chocolate Candy Bar. Save room for this. Cute and quaint restaurant in Church Hill with great drinks. One of our go-to spots for dinner out. Crispy Carolina Gold Rice Bowl with picked and preserved veggies. So good. Rundown with seasonal seafood, sweet potato, coconut-habanero broth. Authentic Greek restaurant serving up rustic and modern Greek cuisine that’s consistently delicious. 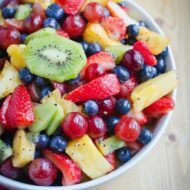 Great for lunch, brunch or dinner. Open, modern vibe with seasonal European-inspired menu, bringing flavors of the alps to the plate with a mix of classic and modern technique. My favorite spot for authentic Mexican food. Hip spot for Thai food with a fun cocktail menu. One of our favorite local coffee shops. They serve single-origin drip coffees, artfully crafted espresso beverages and the staff is really friendly. I love their cold brew coffee and almond milk lattes. They have a retail location on Broad St. near VCU and a coffee trailer that’s usually at the South of the James Farmers Market on Saturday mornings. Cute, hipster spot to grab coffee. They roast their own beans and have three full coffee bar locations serving espresso, pour overs and various other brew methods. We stop by the Addison location often (we even took some of our engagement photos there). My husband and I always get the cold-brew iced coffee in the summer and when the days get cool we switch over to hot options. An almond milk café au lait for her and a dry cappuccino for him. I love the fruit and yogurt parfait with granola, but if you’re in the mood for a treat, grab one of the house-made sweet potato chai muffins. They’re Isaac’s favorite. They also serve made-to-order sandwiches and sides. Delicious homemade ice cream! The Cinnamon Oatmeal Raisin Cookie Dough flavor is my favorite and is usually available in November. Homemade ice cream with fun flavors like toast and jam, cinnamon toast crunch cereal milk, and golden milk. They also always have 2-3 vegan flavors. I love the vegan peanut butter fudge. Insider tip: get the toasted fluff!! For an up-to-date list of Richmond area farmers markets, check out Back to the Market. Bombolini Pasta: delicious, fresh pasta that comes in a ton of different flavors from whole wheat, tomato basil to cinnamon and chocolate. They even have black bean and gluten-free pastas. Pizza Tonight: pizza kits with homemade dough and sauce, special seasonings and toppings. Made right here in Richmond. No Bull Burger: the best veggie burgers, locally made in Charlottesville, Va.
Reginalds Homemade: a Richmond based company that makes peanut butter (and cashew butter)! The peanut butters are made with Virginia peanuts and other all-natural ingredients. Some of the flavors include: Coconut Sour Cheery, Nana Honey, Apple Sin and CashewNilla. Twin Oaks Tofu: best tofu ever! <– Check out the tour I took of the Twin Oaks Community.